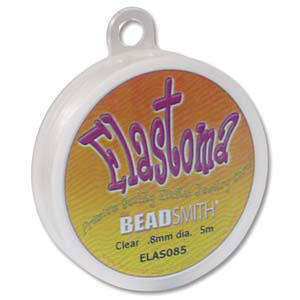 Clear jewellery elastic. 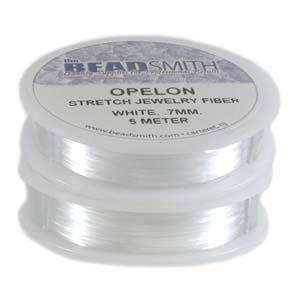 You can crimp, knot, or fuse the ends. Very flexible & extremely strong! Elastoma stretches freely and returns back to its original state. Made in Japan. 5 metre spool.